Yours truly was mentioned in the diggin'it blog on CSMonitor.com so I would like to extend a warm welcome to all the Monitor readers who have dropped in. Now on to the links! Local garden doubles as a learning space for children. Bushwick School Kids Reclaim Rat Kingdom from bushwickbk.com, New York. 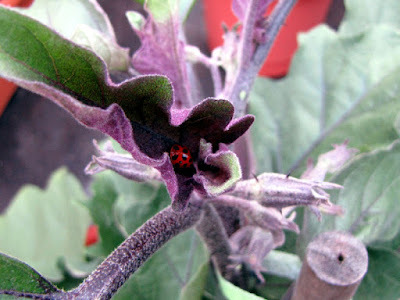 Vegetablegardener.com shows us some cool kitchen container gardens. Don't have a yard to grow stuff? Borrow somebody else's! Like an eager vine, urban garden sharing spreads its roots from OregonLive.com. Here's another article on that rooftop gardener from Milwaukee I mentioned in a previous Reading Round Up. This time other rooftop gardeners are mentioned, plus there's a really nice photo slide show. Lastly, A Fluid Definition of Self-Sufficiency from the New York Times. I wonder how this will turn out. I'm going to have to check it out when they dock. Thanks for the links, I spent way too much time looking instead of gardening!! !